Hezbollah leader meets delegation from Iranian-backed Yemeni rebels. 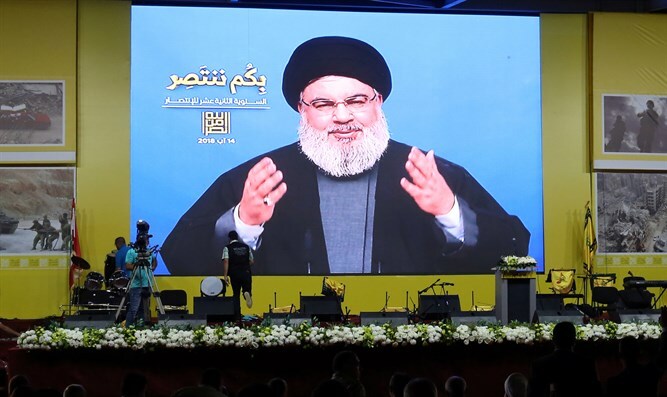 The Hezbollah terrorist organization said on Sunday that its leader Hassan Nasrallah met with a delegation from Yemen’s Houthi rebels, The Associated Press reported. The group said that the delegation was headed by Houthi spokesman Mohamad Abdelsalam and that they discuss with Nasrallah the latest developments in Yemen’s civil war. Hezbollah is believed to train and support the Iran-backed Shiite Houthi rebels, who have been at war over the last several years with a Saudi-led coalition allied with Yemen’s internationally recognized government. Hezbollah, which is also Iran’s proxy in Lebanon, says the Houthis are fighting a war against Saudi and American imperialism, noted AP.